If you write commercial fiction and are looking for a great writing conference, I recommend you check out the International Thriller Writers (ITW) [http://thrillerwriters.org/] annual event, ThrillerFest [http://www.thrillerfest.com/]. It’s a four-day extravaganza held every year in early July in New York City, close to the publishing industry to ensure participation by editors and agents as well as lots of published authors. If you’re looking for a way to become part of the mystery and thriller genre, you might find that this is the conference you’ve been waiting for. There are two things that most writers want when they’re at the pre-publication stage: advice on how to make their stories better, and opportunities to meet the editors and literary agents who will make their dreams come true. Craftfest and Agentfest, part of Thrillerfest, are designed to fill those needs. At Craftfest [http://www.thrillerfest.com/craftfest/], you’ll attend sessions on the craft of writing commercial fiction, taught by bestselling authors and some of the top editors in the field. There aren’t many conferences where you’ll learn about dramatic structure or characterization from Lee Child [http://leechild.com/], John Sandford (http://www.johnsandford.org/), Steve Berry [http://www.steveberry.org/] or acclaimed agent Donald Maass [http://www.maassagency.com/]. While the line-up of presenters changes from year to year at Craftfest, you’ll find that every instructor at is of the same high caliber. There are typically over 50 agents at Agentfest [http://www.thrillerfest.com/agentfest/] to take your pitches. You can see some of the agents who’ve attended in the past here [http://www.thrillerfest.com/agentfest/agents-previous/]: if you’re looking to pitch to the top agents representing mystery, thriller and suspense, this is where you’ll find them all in one place. And if you’ve never pitched before, don’t worry, there’s a workshop beforehand to teach you the ropes. At Thrillerfest, you’ll get two days of multiple tracks of panels and spotlight interviews with the biggest names in the field, all designed to teach you about the business of writing commercial fiction. You’ll find panels with some of the most respected editors from the Big Six Publishers: Neil Nyren, senior vice-president and publisher of Putnam and Mark Tavani, senior editor at Ballantine Books have been speakers in past years. There are also workshops on related subjects-- everything from martial arts to the espionage business—taught by experts. One of the best things about Thrillerfest is that you get the opportunity to network with authors of all levels of experience—from long-time bestsellers to novices. At my first Thrillerfest, imagine my surprise when I was joined at breakfast by Erica Spindler [http://www.ericaspindler.com/] and Heather Graham [http://www.eheathergraham.com/]! That’s one of the most amazing things about Thrillerfest: everyone is approachable and open. And while the opportunity to meet big name authors in your genre is a pretty compelling reason to attend, an even better one is that at Thrillerfest you have the chance to meet writers just like you who will likely go on to be your ally in the industry throughout your career—and I can attest to that myself. I met legal thriller writer Allison Leotta [http://allison.leotta.com] when we sat next to each other on stage for the 2011 Debut Author class and today we’re best buds, calling each other for advice and appearing at events together. Are you ready to find out more? Click on the links above to go to the Thrillerfest website; you’ll find everything you need. And if you come to Thrillerfest in July, make sure to look for me and say hello! 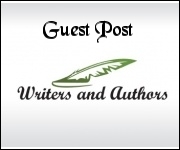 Guest post by Alma Katsu [http://www.almakatsu.com], the author of THE TAKER and THE RECKONING, paranormal thrillers published by Gallery Books/Simon & Schuster. THE TAKER was an ALA Top Ten Debut Novel of 2011 and has rights have been sold in 15 languages.